The two main segments of Indian real estate have shown mixed trends in the past five years. 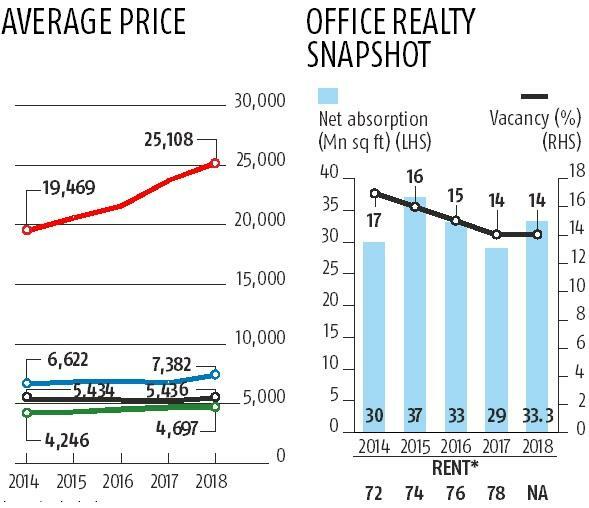 While realty developers have struggled to sell residential properties, those dealing with office spaces have relatively done well because of good absorption. Embassy and Blackstone are planning to come up with the listing of the country’s first real estate investment trust (Reit). 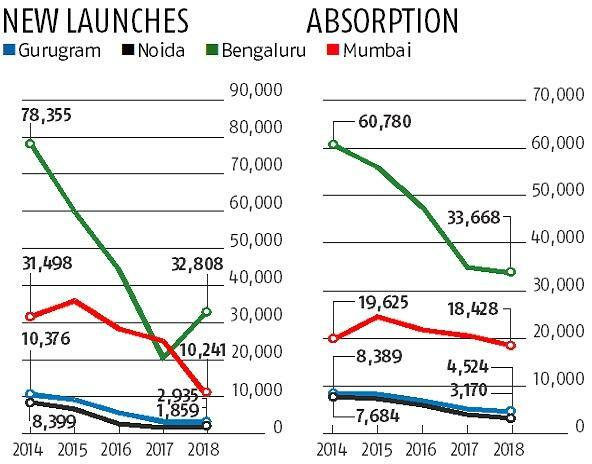 A slew of measures such as demonetisation, goods and services tax, RERA (Real estate regulation and development Act) have hit the residential sales badly. National Capital Region has been hit the hardest as it was mostly investors’ market. Sales have halved in Noida and Gurugram. Prices have also remained stagnant, leading to “time correction”. While affordable segment is still selling, it is the premium segment that is facing lower sales. •Apartment, vilas and independent floors have been considered.